This picture struck me because I can relate to it on so many levels. He’s writing. In longhand. On the Star Ferry in Hong Kong. It was posted so recently to his Twitter account. He posted that just last week. He writes on the ferry. He writes in longhand. I write on the ferry and in longhand. I probably look equally absorbed and serious when I write. I’ve been on the Star Ferry crossing Kowloon Harbor in Hong Kong. It was on that ferry that I fell in love. I had just met Jerry and we were both working in the Far East (Jerry in China, me in Australia), and we followed a mad impulse to meet in HK and spend a week in the Peninsula Hotel. And while we were there, we took the Star Ferry over to Wanchou and got matching tattoos that spelled “YES” in Chinese. So that’s my Star Ferry story. I remember the light of evening. I remember the rush of finding the most unlikely, most exhilarating romantic love I’d ever experienced. And this morning I saw this picture of Anthony and I wished that his demons, whatever they were, had left him alone to do his art and his life. I wished the love and joy and passion in his life had been powerful enough to protect him from those demons. And this loss comes on the heels of another—the iconic Kate Spade. Another artist I admire every time I take out the crossbody phone wallet Jerry bought for me, or the blue bag that was a gift from my publisher. 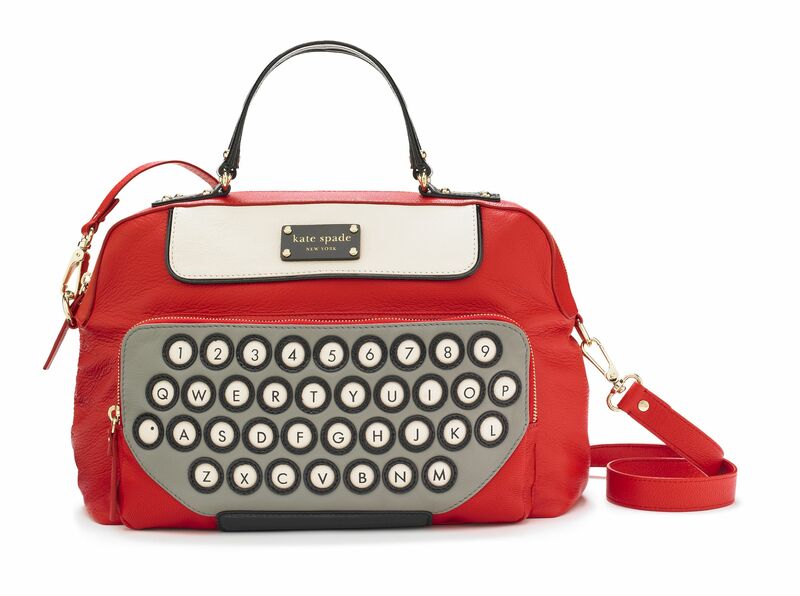 Or the typewriter bag I once gave my editor as a gift. She was wonderfully creative, and deserved contentment along with the success she enjoyed. She was so crisp and classy. And she had such a clean, clear vision of design. He had such a big personality and an appetite for life. There are no words of wisdom in this post. Only reflection and sadness. The world can never have too many artists in it. If you or someone you know is struggling or in crisis, you are not alone. Lifeline @800273TALK can help. 1-800-273-8255. I’ll close with another vanished genius who left us too soon—Chris Cornell. That was Jerry’s walking-in song at our wedding. I appreciated Anthony, Kate, and Chris in ways I didn’t realize until they were gone. In life, as in art, anything is possible. Sometimes I hate that.